Designed an application for generating currency indices and signals, calculated using the client&apos;s own mathematical algorithms. As part of the project the following was created. Server application, which receives API data from the international currency market. Databases have been developed for storing large quantities of data as well as cloud architecture to provide fault resistance. 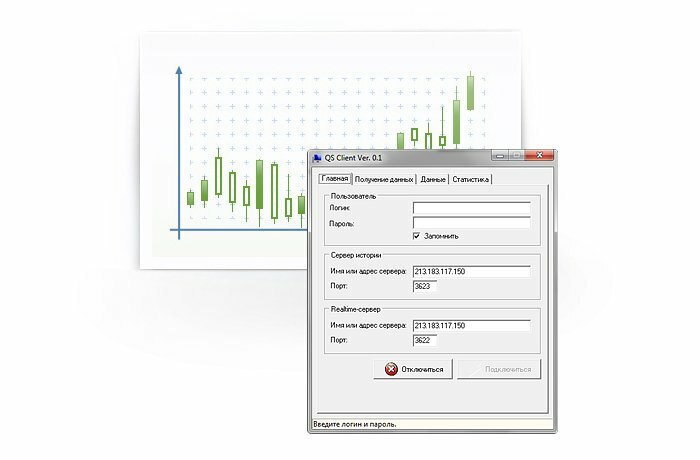 Client application – receives data processed by the server and draws up real-time and history charts (candlestick charts, etc. ), before sending the data to MetaTrader. The software developed involved creation of a server application, user interface and information website for a forex signal service. Signals are offered in the form of email and SMS alerts, displaying one or more currency pairs at a time, with entry and exit exchange rates. The signal acts as a prompt for the client to review the rate and set the volume of trade before confirming or manually entering the data in order to make the forex purchase or sale. The client is able to specify what kinds of signals they would like to receive. This may include setting alerts for changes between specific currency pairs, for example when the exchange rate has changed by a certain value in one or either direction. Alerts can also be set for when the exchange rate hits a specific lower or upper limit. These preferences can be set individually or in combination. Clients can choose from several different trading robots, which send out signals. The client&apos;s personal account displays statistics from all robots used. The signals themselves can be automatic as per the parameters described, or manually set by a market analyst trained to recognize optimal periods for conducting trades on the forex market. The signals can be presented in a number of visual formats, with charts, graphs and calendars. Further information can include data on risk-to-rewards ratios, as well as a history of profits made for an individual client or a group, overall or on specific currency pairs. The information website contains a space for advice and tutorials, as well as general forex discussion and discussion of issues related to the functionality of the service. There is also the option of a user account area, where a client can review their unique user settings and preferences, and view their signal and trading history.